Whether you're looking to add a couple new products to spruce up your shelves or are planning a complete category overhaul, you may be feeling a little overwhelmed right about now with all the choices. The key to avoiding overwhelm when choosing new pet products for your pet store is to stick with vendors that align with your brand strategy. This is the best way to better ensure that the products you chose will actually sell, and not just collect dust on your shelves. This process is easier said than done. However, these are a few elements you can look at to get you started. Imagine you're walking through your store, checking through inventory of product on your shelves. The doorbell rings, signifying someone has just walked in, and you look up. Who's in your store? Take the image of the person in your head and write down key features about them. How old are they? Where do they live? What are they here to buy? What kind of pet do they own? What stage of life are they currently in? These outline your target demographics - the type of people who shop at your store on a daily basis. They're who you market to and are ultimately the main drivers of profit. Now, take this information and compare it to the products you're considering. Would Sally - an all-natural organic food obsessed millennial - enjoy buying a mass-manufactured giant bag of treats with who-knows-what ingredients for her sheltie? Conversely, would Hector - a 57 year-old man in the south - purchase the latest trend in pink polka-dotted collars for his turtle? You know your customers best and the vendors whose products you're considering should know theirs. If you're not sure who their customers are, reach out and ask! If they're focused on marketing to a completely different audience, they're probably safe to pass up. As we discussed in a recent article, we're all in the pet industry for a reason. Whether your goal is to provide your neighborhood's best with the highest quality food in the market or with the funnest experience of picking out a new toy for their pet, you should know your why for why you run your business. Similar to the target demographics, take your company's mission and vision statements and compare them with potential vendors. Do they align? If you're trying to maintain an eco-friendly and sustainable environment but they don't mind making a little extra waste, they may not be a great fit. Not only will it create contention for your relationship with the vendor, but it will also make it harder to sell their products to your customers. So, this vendor has the same target customer as you and the owners share similar values. But maybe you just don't have enough room in your small shop for the dang thing. What now? The product might be the coolest thing to hit the market since backpacks to hold your cat, but if you can't display them in your store, then there's not a whole lot you can do. Get a bigger store. Just kidding...kind of! Another thing to consider is the packaging. In some cases, the product may be great, but the packaging is another issue altogether. This is another scenario where you can talk with the vendor and see what they can do. Who knows, maybe they've been considering re-designing their packaging, and your email is what pulled the trigger! There are so many brands. So many different pet food trends. So many opportunities to confuse one thing with another. Wait, which one was the good ingredient, again...? Unless you spend all your time studying pet food trends and enveloping yourself in everything there is to know about pet products, it's easy to get things confused. While you might have it down to a science, we can pretty much gaurantee many of your employees don't. Employee training is important because it helps you stand out from the competition, boosts employee engagement and confidence, and allows them to create customized solutions for your customers. There's only so many hours in the day and only so many times you can remind Rebecca why taurine is good for cats. Why not bring in the vendors of the products themselves to give mini training sessions? 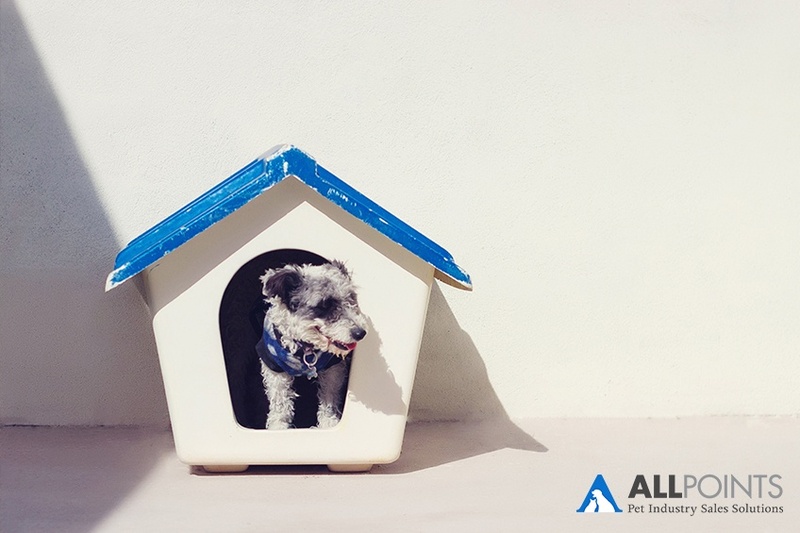 If you're thinking about bringing in a product that's completely different and new and/or something a little more complicated than the standard dog bed, consider asking the vendor if they have employee training programs. Who knows? If everything else checks your boxes, this could be your deciding factor between two brands.